From the book: Shortly before Christmas 1933 in Depression-scarred Canton, Ohio, a small newspaper ad offered $10, no strings attached, to 75 families in distress. Interested readers were asked to submit letters describing their hardships to a benefactor calling himself Mr. B. Virdot. The author’s grandfather Sam Stone was inspired to place this ad and assist his fellow Cantonians as they prepared for the cruelest Christmas most of them would ever witness. 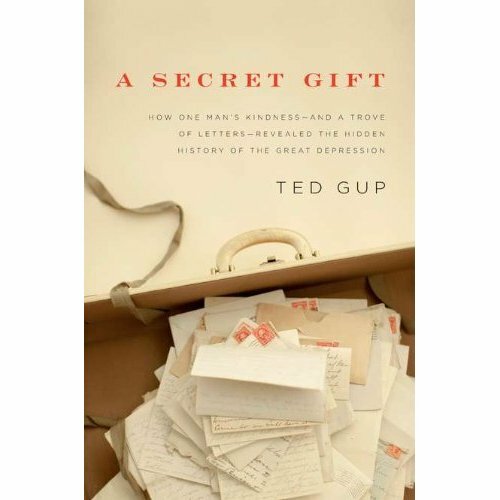 Moved by the tales of suffering and expressions of hope contained in the letters, which he discovered in a suitcase 75 years later, Ted Gup initially set out to unveil the lives behind them, searching for records and relatives all over the country who could help him flesh out the family sagas hinted at in those letters. From these sources, Gup has re-created the impact that Mr B. Virdot’s gift had on each family. Many people yearned for bread, coal, or other necessities, but many others received money from B. Virdot for more fanciful items-a toy horse, say, or a set of encyclopedias. As Gup’s investigations revealed, all these things had the power to turn people’s lives around- even to save them. But as he uncovered the suffering and triumphs of dozens of strangers, Gup also learned that Sam Stone was far more complex than the lovable- retiree persona he’d always shown his grandson. Gup unearths deeply buried details about Sam’s life-from his impoverished, abusive upbringing to felonious efforts to hide his immigrant origins from U.S. officials-that help explain why he felt such a strong affinity to strangers in need. Drawing on his unique find and his award-winning reportorial gifts, Ted Gup solves a singular family mystery even while he pulls away the veil of eight decades that separate us from the hardships that united America during the Depression. In A Secret Gift, he weaves these revelations seamlessly into a tapestry of Depression-era America, which will fascinate and inspire in equal measure. My grandfather was a child during the Great Depression and only recently have I heard him discuss a little of what life was like during that time period. As a history major in college I studied the Great Depression, but never had I read such personal accounts of how people were so affected until I read this book. Gup beautifully and eloquently captures the stories of several people and their families during this dark period of our nation's history while unraveling his own family history. This book takes the reader back to those hard times when parents had to choose between food and clothing for their children. 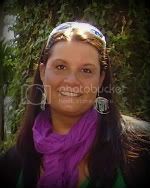 The reader learned about sacrifices made, the absolute desperateness of situations that many families faced. The Depression had a lasting impact on families for generations. While not solely a Christmas story, its a story that shows the kindness and compassion of individuals that grows out of tough times. Disclosure: I was provided this book from the publisher to review. The opinions expressed here are strictly my own.